At Beverly Hills Periodontics & Dental Implant Center, Dr. Peiman Soleymani and his expert team have provided the highest quality dental services to Los Angeles-area residents for years. Since our first day helping patients, we have provided expert dental services, using state-of-the-art technology and a friendly smile. Our skills and technology help us diagnose and treat a variety of dental ailments, from preventative cleanings to laser gum surgery in Los Angeles. Digital x-rays, high quality implants, and Dr. Soleymani’s skill as a periodontal surgeon help Beverly Hills Periodontics & Dental Implant Center provide the best possible care to each of our patients. The field of dental implants continues to grow and change as technology improves, and today, replacement teeth look and feel just like real teeth. In some cases, our patients may find they need Los Angeles immediate implants due to an accident or injury. Beverly Hills Periodontics & Dental Implant Center has become the go-to office for advanced dental implant therapies such as immediate dental implants that look and feel like natural teeth. With our advanced technology, we are now able to replace teeth on the same day in some cases. 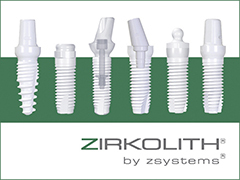 Each tooth is extracted conservatively with piezotome technology preserving the circumferential soft and hard tissue. A high quality dental implant is placed and restored on the same day with a highly esthetic provisional restoration. This way there is no need for a removable prosthesis and, in most cases, in four to six months a restorative dentist will replace the provisional with a permanent crown that matches the shade and shape of the adjacent teeth. Our dental implant services and team work with other offices in achieving the best results in Los Angeles are among the best. Beverly Hills Periodontics & Dental Implant Center is here to help with one-day implants Los Angeles residents need, and long-term care that they trust.